Information on free radicals and anti-oxidants have been around for some time, with many clients loading their systems with the latest supplements available, and skin care companies competing to release the most potent and effective anti-oxidant products to the market. Don’t get me wrong, these help. But, let’s look at the times when despite all your best efforts your clients skin doesn’t respond, or due to illness or acute stress, what has taken six months of hard effort on your part and many dollars later from the client, they are suddenly behind the eight ball and need to start all over again. In these cases it is the internal systems that are paramount as this is where your client holds their reserves. Muscle wastage causes a reduction in metabolic rate with decreased burning of calories. This causes a common rebound weight gain experienced by most people when dieting. A slowed metabolism means they are worse off than before they diet, making it harder to lose fat than every before. As muscle consumes a large amount of blood glucose this helps to regulate blood sugar levels. In turn, this regulates insulin. By age 20, the average person has twice as much muscle as fat. By the time we reach 65 the average person has twice as much fat as muscle. With exercise you can turn this ratio around. We also lose strength with age due to bundles of muscles and motor nerve deterioration. With lean muscle the number one biomarker for vitality and longevity, resistance and weight exercise is the best way to build lean muscle mass and strength. Encourage clients to engage in any form of exercise, be it working out in the gym, walking, dancing or using an exercise video at home. For an exercise or activity program to be effective, it must be regular, consistent and fun. The thyroid gland is an endocrine gland that secrets hormones directly into the blood stream. It is shaped like a butterfly and located under the skin just below the larynx (Adam’s apple). The thyroid gland produces two hormones known as “T3” and “T4”. These two hormones together regulate the rate at which the cells of the body use oxygen; that is to say they regulate metabolic rate. Metabolism produces heat, and so T3 and T4 also regulate body temperature. Some of the symptoms of hypothyroidism (the more common of the imbalances of the thyroid) are: fatigue, anemia, slowing of the heart, toxic buildup, delayed healing, headache, emotional disorders, hyperactivity in childhood, susceptibility to infections, disturbed menstrual flow, infertility, high blood pressure and skin diseases. The most common finding in hypothyroidism is dry, flaky skin. Circulation to the skin is decreased while the production of mucopolysaccharides dramatically increased. These two factors together predispose the client to acne, impetigo, cellulites, eczema, psoriasis and ichthyosis (fish scale skin) and of course – ageing. (Kennedy, R., 2002) The number of calories required by your body to sustain itself from age 20 reduces by 2% per decade. A healthy level of exercise sustained on a regular basis helps to slow any damaging effects to metabolism. 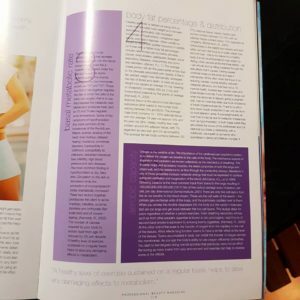 Unfortunately in the weightloss industry and even within our own, the focus is on scale weight loss and inch loss – this is not relevant to a healthy body. 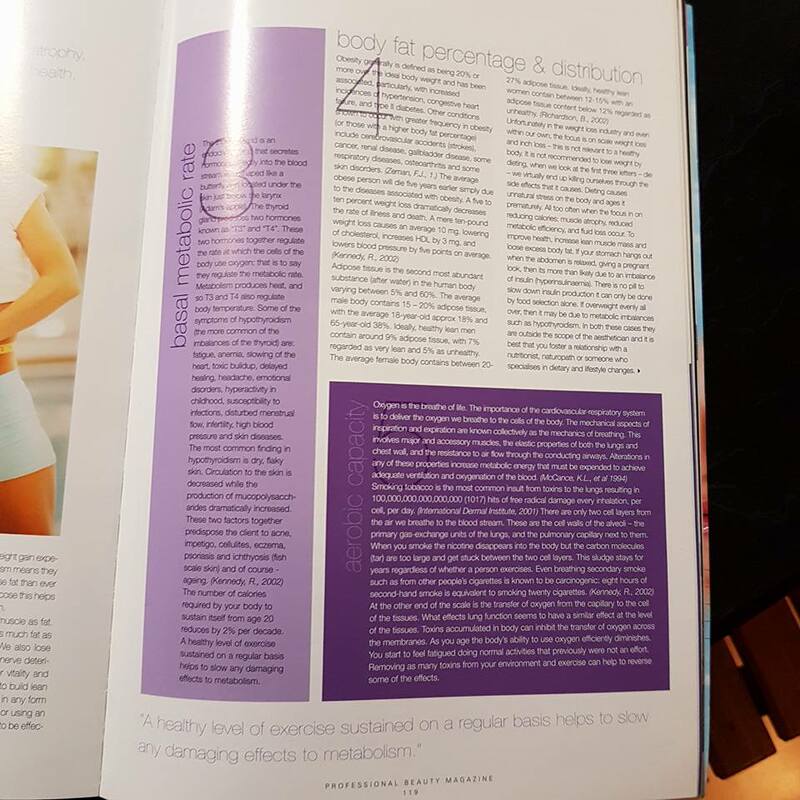 It is not recommended to lose weight by dieting, when we look at the first three letters – die – we virtually end up killing ourselves through the side effects that it causes. Dieting causes unnatural stress on the body and ages it prematurely. 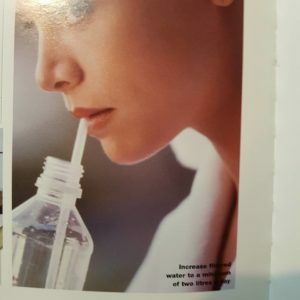 All too often when the focus is on reducing calories: muscle atrophy, reduced metabolic efficiency, and fluid loss occur. To improve health, increase lean muscle mass and loose excess body fat. If your stomach hangs out when the abdomen is relaxed, giving a pregnant look, then it is more than likely due to an imbalance of insulin (hyperinsulinaemia). There is no pill to slow down insulin production it can only be done by food selection alone. If overweight evenly all over, then it may be due to metabolic imbalances such as hypothyroidism. 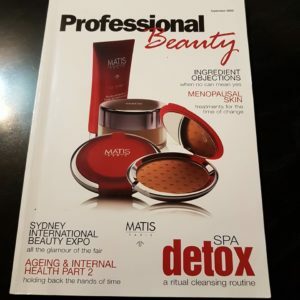 In both cases they are outside the scope of the aesthetician and it is best that you foster a relationship with a doctor, nutritionist, naturopath or someone who specialises in dietary and lifestyle changes. At the other end of the scale is the transfer of oxygen from the capillary to the cell of the tissues. What effects lung function seems to have a similar effect at the level of the tissues. Toxins accumulated in body can inhibit the transfer of oxygen across the membranes. As you age the body’s ability to use oxygen efficiently dimishes. You start to feel fatigued doing normal activities that previously were not an effort. Removing as many toxins from your environment and exercise can help to reverse some of the effects. In the simplest of terms the blood carries oxygen to tissues and carbon dioxide away from the tissues. When the circulation is sluggish it effects every cell in the body. This shows in slow healing, lack of energy, slow metabolism and by making the heart work harder. Hypertension or high blood pressure increases the risk of heart attack and places additional strain on the kidneys. Some of the causes of high blood pressure are being overweight, high table salt and dietary fat intake (vegetable oils, fatty foods), stress, dehydration and lack of exercise. The heart is made strong through use, like any other muscle, so regular exercise is essential to a healthy heart. Balance is the key to any diet! Balancing carbohydrates, protein and fat ratios helps your body product balanced levels of two key hormones: insulin and glucagon. 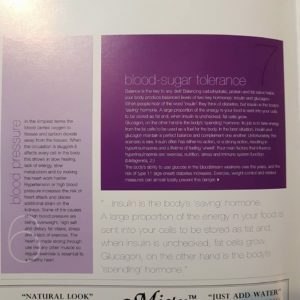 When people hear they word “insulin” they think of diabetes, but insulin is the body’s “saving” hormone. A large proportion of the energy in your food is sent into your cells to be stored as fat and, when insulin is unchecked, fat cells grow. The body’s ability to use glucose in the bloodstream weakens over the years, and the risk of type II (age-onset) diabetes increases. Exercise, weight control and related measures can almost totally prevent this danger. Lipoproteins are complexes in which lipids are transported in the blood. 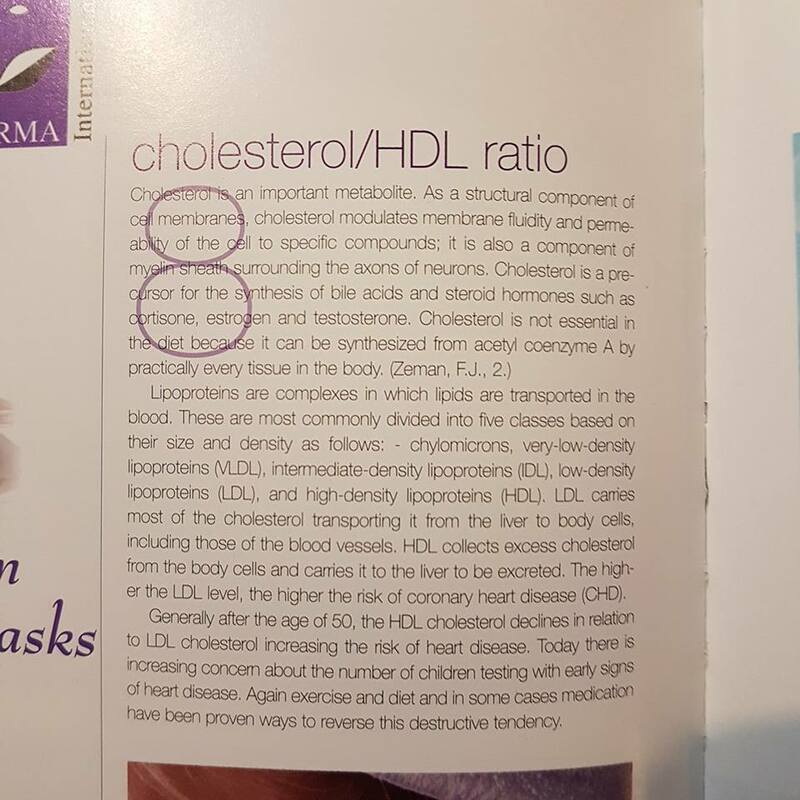 THese are most commonly divided into five classes based on their size and density as follows: – chylomicrons, very-low-density lipoproteins (VLDL), intermediate-density lipoproteins (IDL), low-density lipoproteins (LDL), and high-density lipoproteins (HDL). LDL carries most of the cholesterol transporting it from the liver to the body cells, including those of the blood vessels. HDL collects excess cholesterol from the body cells and carries it to the liver to be excreted. The higher the LDL level, the higher the risk of coronary heart disease (CHD). 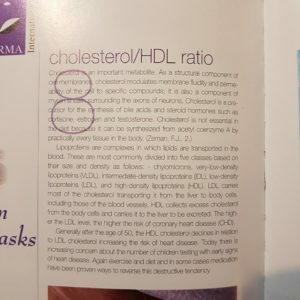 Generally after the age of 50, the HDL cholesterol declines in relation to LDL cholesterol increasing the risk of heart disease. Today there is increasing concern about the number of children testing with early signs of heart disease. Again exercise and diet and in some cases medication have been proven ways to reverse this destructive tendency. Building strong,healthy bones before your thirties is the best way to prevent the crippling disease of osteoporosis in later life. Women are more prone to problems due to having lighter bones to start with. 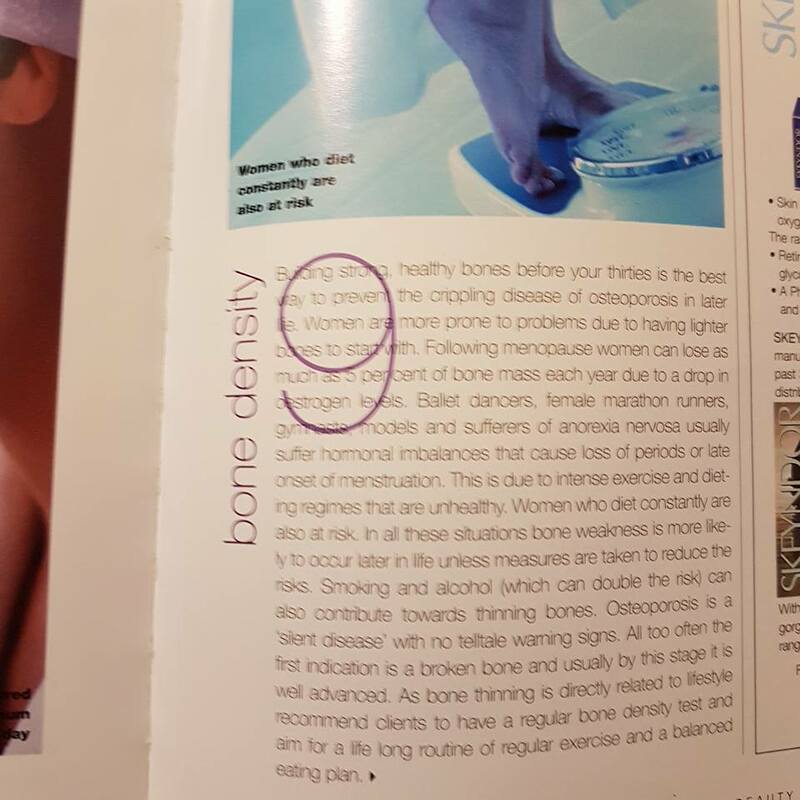 Following menopause women can lose as much as 5 percent of bone mass each year due to a drop in oestrogen levels. 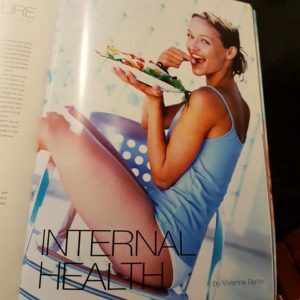 Ballet dancers, female marathon runners, gymnasts, models and sufferers of anorexia nervosa usually suffer hormonal imbalances that cause loss of period or late onset of menstruation. This is due to the intense exercise and dieting regimes that are unhealthy. Women who diet constantly are also at risk. In all these situations bone weakness is more likely to occur later in life unless measures are taken to reduce the risks. Smoking and alcohol (which can double the risk) can also contribute towards thinning bones. Osteoporosis is a “silent disease” with no telltale warning signs. All too often the first indication is a broken bone and usually by this stage it is well advanced. 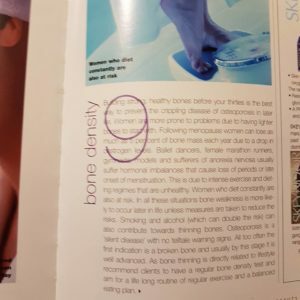 As bone thinning is directly related to lifestyle recommend clients to have regular bone density tests and aim for alife long routine of regular exercise and a balanced eating plan. As we age we become more vulnerable to changes in climate. The body loses its ability to maintain a normal temperature. 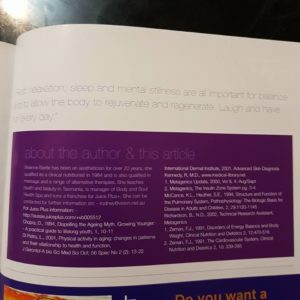 All of the above needs to be in balance, when out of balance – particularly the thyroid – refer to paragraphs on Basal Metabolic Rate, extremes of hot or cold weather can be very detrimental to the overall health of the aged individual. 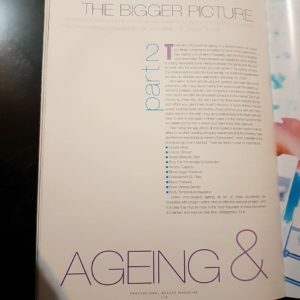 Chronological Ageing – This we cannot do much about. It is your age in years from birth and will march on regardless of what you do. 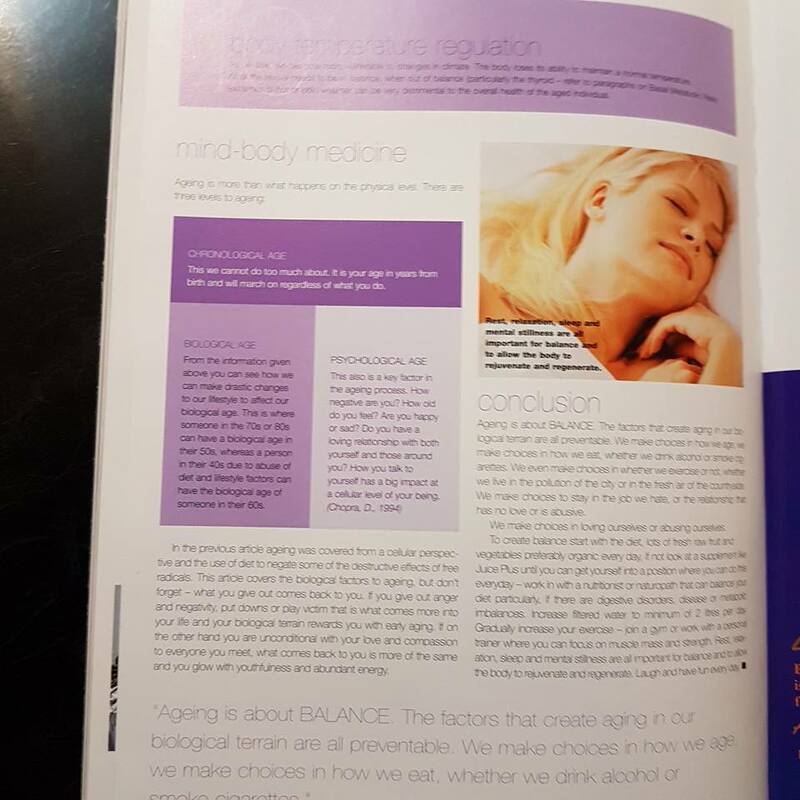 Biological Age – From the information given above you can see how we can make drastic changes to our lifestyle to affect our biological age. This is where someone in their 70s or 80s can have a biological age in their 50’s, whereas a person in their 40’s due to abuse of diet and lifestyle factors can have the biological age of someone in their 60’s. In the previous article ageing was covered from a cellular perspective and the use of diet to negate some of the dstructive effects of free radicals. 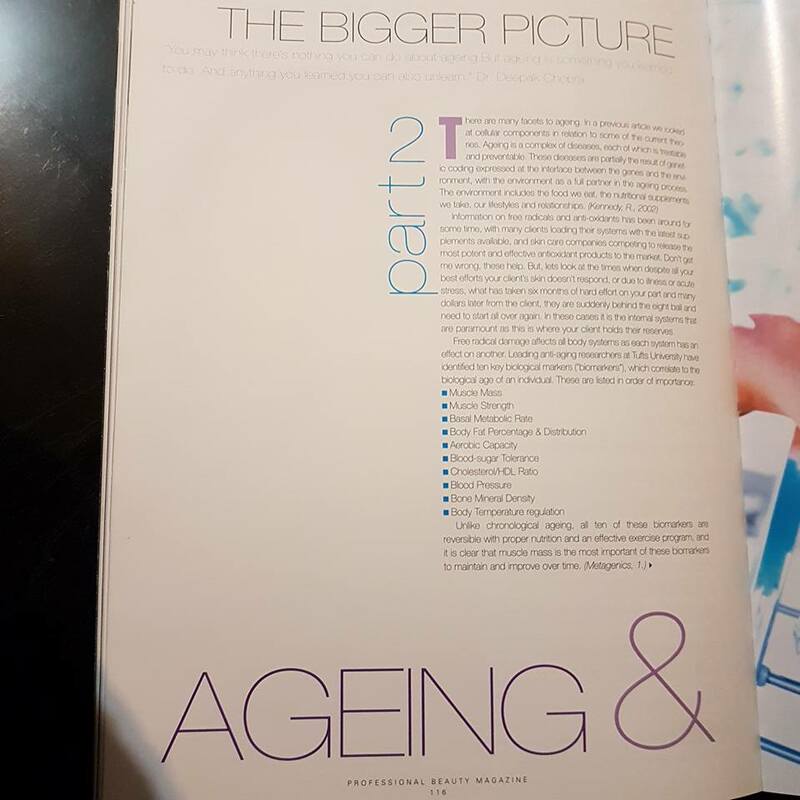 This article covers the biological factors to ageing, but don’t forget – what you give out come back to you. If you give out anger and negativity, put downs or play victim that is what comes more into your life and your biological terrain rewards you with early ageing. If on the other hand you are unconditional with your love and compassion to everyone you meet, what comes back to you is more of the same and you glow with youthfulness and abundant energy. Ageing is about BALANCE. The factors that create ageing in our biological terrain are all preventable. We make choices in how we age, we make choices in how we eat, whether we drink alcohol or smoke cigarettes. We even make choices in whether we exercise or not, whether we live in the pollution of the city or in the fresh air of the countryside. We make choices to stay in a job we hate, or the relationship that has no love or is abusive. We make choices in loving ourselves or abusing ourselves. To create balance start with the diet, lots of fresh raw fruit and vegetables preferably organic every day, if not look at a supplement like Juice Plus until you can get yourself into a position where you can do this everyday – work in with a nutritionist or naturopath that can balance your diet particularly, if there is digestive disorders, disease or metabolic imbalances. Increase filtered water to minimum of 2 litres per day. Gradually increase your exercise – join a gym or work with a personal trainer where you can focus on muscle mass and strength. Rest, relaxation, sleep and mental stillness are all important for balance and to allow the body to rejuvenate and regenerate. Laugh and have fun every day.